Sergio Garcia’s fist pump at the moment of his 2008 win was exhilarating to witness. I was thrilled that the Professional Golfers Association (PGA) opted to have his ardent young fans illustrated behind him. 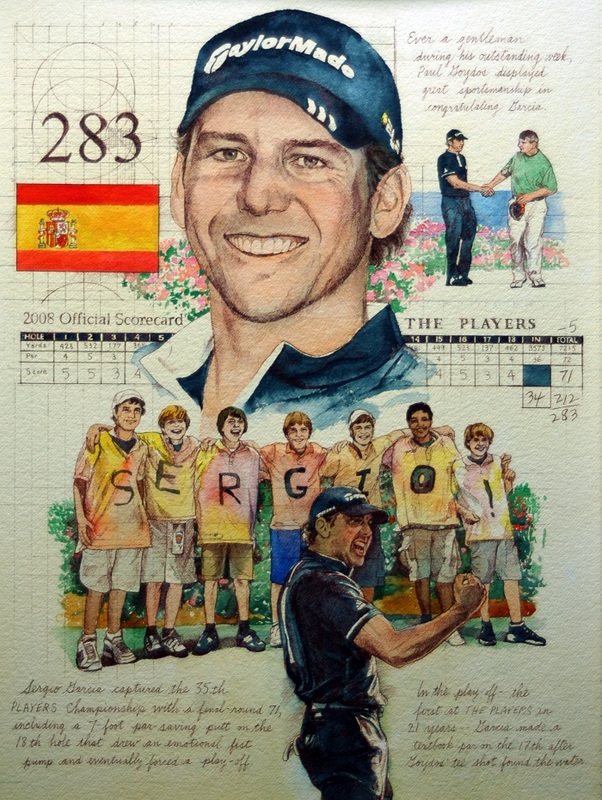 I hope all the Sergio boys got posters! For me, this art captures the elation of winning THE PLAYERS tournament. I cannot help but become fond of and feel joy for the champion players I have illustrated.